There are a ton of ways to find out how well your business is doing and what your brand reputation is. We’ve put together some of the best brand awareness tools to help you out. We’ve been talking a lot about brand awareness lately. Which is exactly why we wanted to write up a brand awareness tool article. Because as we found there are plenty of different ways people track their brand awareness. The easiest way, and the most common way, however, is through various types of tools. We are going to cover some tools that fall that can be categorized under either social analytics or social mentions. We have found that many marketers use tools within both categories to do a thorough investigation of how well their brand is doing. And, these tools can actually overlap in between the two categories we have listed. Let’s first cover why investing in brand awareness tools is an excellent option for your overall brand awareness strategy. We get it, you probably already have a tight budget or no budget at all. But there are a few good reasons why you should invest in a brand awareness strategy. After all, there are many types of brand awareness (or ways someone may remember you). For starters, branding is everything. It’s what you produce, it’s what you do, and it’s who you are. It is your business. But why is investing in a brand awareness strategy important? It builds your brand credibility. You can better engage with customers. If you think about it, even the most well-known brands work on building their brand awareness. Think of the sports industry and athletic wear brands. You’ll probably instantly associate Nike, Reebok, and Adidas in this aspect. Even more, you may be able to think of a few athletes who are influencers of these brands. But why? Well, even though they are well-known and are industry leaders, they still run marketing campaigns. You probably see ads from these brands all the time. You probably also see influencer campaigns, and user-generated content posted daily about them. But, why does this matter? Well, if a brand isn’t paying attention to what people are saying online and fueling the fire, so to speak, they wouldn’t know how to consistently deliver what people want. This is why developing a brand awareness strategy is important. Before we dive into the tools that can help you succeed, let’s review a successful campaign that has helped to increase brand awareness. 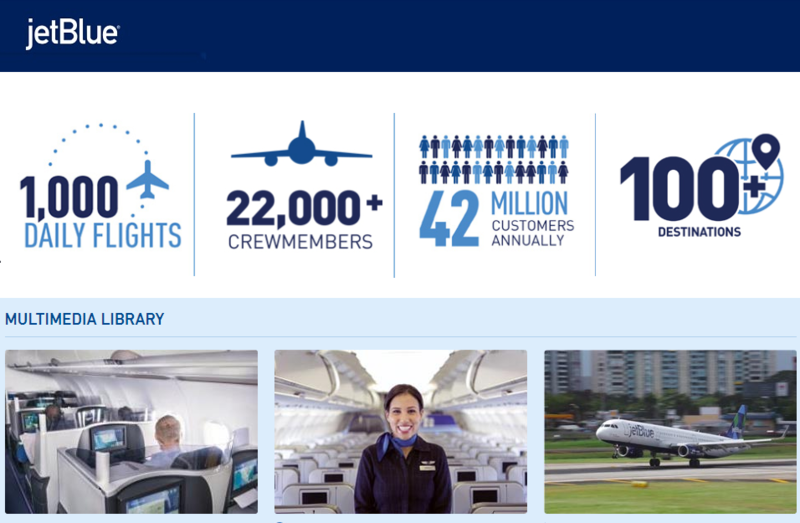 JetBlue is a leading airline in the US with a home base of NY and covering all major cities across the nation. They have been awarded “Highest in Customer Satisfaction in North America”. In a case study done by Qualitrics, JetBlue had the goal of gaining control over its customer experience program. JetBlue combined a series of data to pinpoint where they could make the most impactful changes in their processes. By doing so, JetBlue found that their free baggage didn’t matter and instead customers wanted cheaper tickets. Therefore, they went down a different path for pricing, which worked out well for them. Because they used their customer feedback and listened to what they wanted to boost customer relationships and satisfaction. 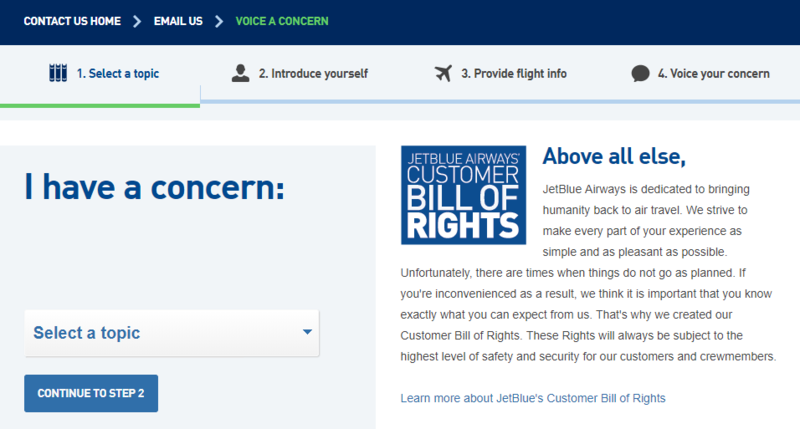 Since JetBlue has begun using Qualtrics as a brand awareness tool, they have been able to better manage their customer experience, and make customers happy. Brand awareness fuels the recalling of a particular service. There are plenty of examples that display this. In fact, you may have heard of how Chevrolet sponsors Manchester United. Chevrolet pays the team and in return Chevrolet gets access to a worldwide audience. This doesn’t mean all Manchester fans are out buying Chevy cars, but it helps build awareness. We have broken down these tools into two categories. Though many of these tools can fall into multiple categories, we have filed them in the way we believe they contribute to building brand awareness. The categories are social analytics tools and social mention tools. 1. Social analytics tools – those that focus on analyzing what times are best for engaging. I.e. can mean posting to social platforms, running campaigns, sending emails, when users are most active, etc. These might even be able to inform you of user demographics, most-used hashtags, and interactions with your brand. 2. Social mention tools – those that track your business. These may track everywhere your name has been mentioned. You can also see brand interactions, and track which platforms are working best for you. These tools essentially let you listen for what’s being said about your brand. Here is the list of tools to consider using for measuring and tracking your brand awareness. These types of tools also include referral marketing software and influencer marketing software. Qualtrics does a little bit of it all. They have a variety of tools available including ones relating to customer experience, brand experience, product experience, and employee experience. The software is used to turn customers into fans, boosting the overall experience for everyone in involved. The four core experiences can help any brand create a product people love, measure and improve interactions, as well as help a brand develop a great internal culture. 1. Customer XM – tools like NPS, digital CX, and customer analytics. 2. Employee XM – Develop a great culture by improving the employee lifecycle. 3. Product XM – Build products that people love. Perfect for enterprises and large businesses. Reach out for more information, demo available. Ahrefs helps you learn why your competitors are ranking where they are so that you can learn what to do to outrank them. The platform gets new tools and features added regularly, so you can be sure to stay ahead of the game. Ahrefs started back in 2011 with their first version of Site Explorer. Ahrefs kick-started a new round of competition among SEO tools and quickly became one of the best backlink analysis tools in the world. 1. Private Facebook community – Learn hacks and SEO hacks from other Ahrefs users. 2. Keywords explorer – Learn of hundreds of relevant keyword suggestions. 3. Content research – Put your keyword into the tool and see which content has performed best. You can try a 7-day trial for just $7. Plans start at $99 and go up to $999. Iconosquare is a powerful Instagram analytics and social media management tool. It allows you to grow your social presence by using best-in-class analytics, manage multiple social profiles, share your performance with quick and easy reporting, plan and schedule your content in advance, and much more. Founded in 2011, Iconosquare is the pioneer in the Instagram analytics field and has been an official Instagram partner since 2016. It currently lists over 25,000 clients, from such brands as National Geographic, L’Oreal, Hilton, H&M, among others. 1. Best analytics out there. By providing detailed insights on content performance and audience engagement, Iconosquare can help you grow your social media presence, benchmark yourself against competitors, track the effectiveness of the hashtags used to increase your reach rates, and more. 2. Direct Scheduler, which allows you to schedule posts, carousels, Stories, and videos. The Scheduler also analyzes users’ best engagement rates and suggests the most optimal time to post on Instagram. It also lets you upload multiple images at once, and uses automatic publishing so that you can “set and forget” your posts. You can tag Instagram users and accounts in posts. 3. Performance reporting. Branded PDF reports on your account’s performance, produced with a click of a button! Send them regularly to your inbox and share directly with your clients. Tailored for small businesses, social media agencies, and enterprises. Price starts from $29/mo. More information here. A 14-day free trial is offered. No credit card required! “To create a new type of intelligence by bringing structure and meaning to the voices of billions of people”. Brandwatch is the world’s enterprise social intelligence leader, empowering over 2,000 of the planet’s most admired brands and agencies including Unilever, Walmart, and Dell to make insightful, data-driven business decisions. The company has made two acquisitions to date: PeerIndex (2013) and BuzzSumo (2017) as a standalone content marketing platform and was bolstered by its merger (2018) with Crimson Hexagon. 2. Brandwatch Audiences optimizes targeted influencer, content and paid social campaigns. 3. 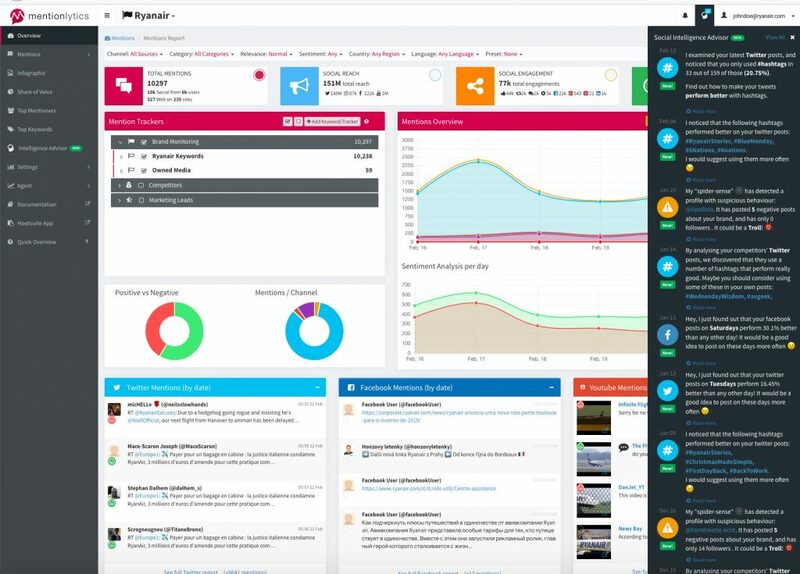 The Vizia platform broadcasts insights to decision-makers throughout entire organizations. Sign up for a demo and reach out for pricing. All, however, we are a Twitter Official Partner. Snaplytics started out as an analytics tool dedicated to Snapchat in 2015. Today, it continues to evolve into a full-service suite that enables marketers to create and manage vertical stories on the web. As stories reach other social media platforms. Snaplytics have since expanded to cover Instagram, providing our users with actionable insights to develop their social media and influencer strategy. The team is composed of passionate individuals, working non-stop to develop the tool to adapt to our clients’ needs and industry trends. Coming right up is a set of social listening features that would be the first to allow brands to measure their share of voice. The platform caters to a variety of consumer brands, content producers, educational institutions and business solutions. You can start a 14-day free trial. A demo and pricing may also be requested. Tailwind makes Pinterest and Instagram marketing easy with smart tools for bloggers and small businesses. Since 2011, more than 300,000 members worldwide have used Tailwind to save time and grow their businesses faster by reaching new customers online. 1. Smart Schedule – Tailwind helps you build a scheduling queue based on when your audience is most active and will auto-publish your posts directly to both Pinterest and Instagram. 2. Tailwind Tribes – work with like-minded Pinners to help expand your reach and discover new, relevant content to share with your audience. 3. Hashtag Finder – never worry about trying to come up with the right hashtags on Instagram. Simply start typing your caption and Tailwind will recommend the best hashtags to drive additional reach to your post. The tool is meant for anyone looking to grow their business by creating connections on Pinterest and Instagram. There are many bloggers, small business, and even major corporations using Tailwind to drive results every day. The Plus Plan is $15 a month or $120 for the year. There are additional PowerUps that can be added to your account. Our pricing is listed here. There is a 100 scheduled Pins or 30 scheduled Instagram Post free trial with no time limit. Tailwind focuses on Instagram and Pinterest, though there is some Facebook Page publishing functionality as well. ShortStack is a digital marketing platform built for engagement, lead collection, and marketing automation. With ShortStack, you can run contests, build landing pages and send emails to gain followers, nurture leads and drive sales. From photo-vote and hashtag contests to quizzes and landing pages, use our professionally designed templates to launch a campaign in minutes. Small businesses, enterprise-level businesses, and agencies across all industries use ShortStack. From free to $499/mo. https://www.shortstack.com/pricing/ They also offer annual pricing at a discount. Plus there is a free plan you can use indefinitely – no commitments and you can cancel anytime. ShortStack campaigns can be published as standalone landing pages, embedded on your website, blog and eCommerce platform, and promoted across all social networks. 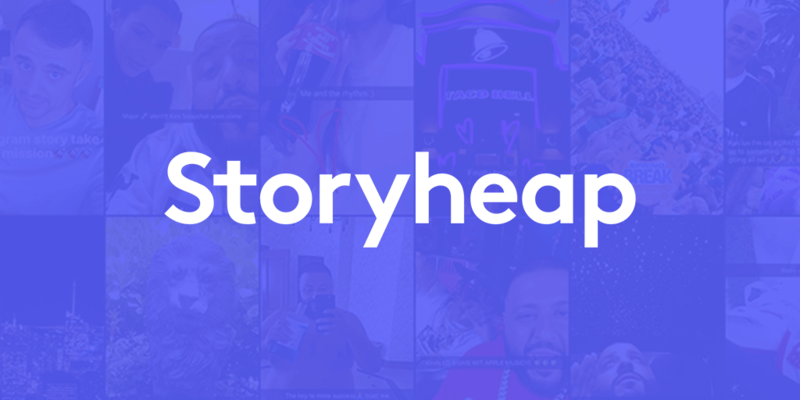 Storyheap is the leading social media stories platform for business, brands, agencies, and influencers looking to leverage social media to grow their engagement and reach. 1. Analytics – Gain insight into how your story is performing with Story Analytics. Track unique metrics such as open rates, views, engagement and more. 2. Publishing – Upload and schedule your story from the web. Simply drag and drop content, select a time (or let our AI algorithm do it for you), and we’ll handle the rest. 3. Autopilot – Set up an Autopilot on Storyheap, and watch your content automatically publish to all of your story platforms. Perfect for takeovers! Reaching your audience has never been easier. Starts at $49/mo., scales for larger clients & enterprise. Demo and trial are available. For more pricing information visit their site. BuzzSumo allows brands to discover their most shared and liked content across social platforms. Brands are able to easily figure out which content pieces are resonating with their audience all thanks to BuzzSumo’s advanced search engine. You’re also able to search up to 12 months of data, making easy for you to determine which changes and content pieces have helped your brand the most. 3. Content Curation – You can find and discover interesting content and share it directly with your audience. BuzzSumo is great for agencies, brands, and publishers. Start with a 7-day free trial and then pick a plan starting from $79 and up. BuzzSumo is great for all platforms, including Twitter, Facebook, LinkedIn, Google Plus, and Pinterest. 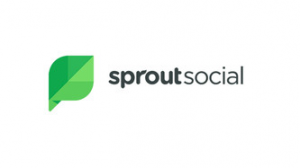 Sprout Social is a social media management software and solutions that help brands find and form real connections with their audience. The Sprout Social suite is perfect for deep listening, providing you with the analytics, social management, and customer care you need to create the connections you need to widen your brand awareness. 1. Award-winning service – Sprout Social offers everyone personalized, quick, and reliable support. 2. 25,000+ happy customers – Made up of all types of brands and organizations. 3. Social media scheduling – Post with the help of Sprout’s scheduler tool. Sprout Social is used by small businesses, agencies, and enterprises. You can request a demo and then start a 30-day free trial. Plans after that are $99-$249. Sprout Social is suited for all social networks. Can also be review platforms and reputation management software. Another big tool in this area is Google Alerts, which many businesses use in conjunction with other tools. “Online review management, especially in an age where online presence is so vital to a brand’s success, online review management is crucial for brand awareness. If consumers are searching for your brand and are being met with negative feedback, that’s going to deter a lot of potential customers from using your services. This is why you should utilize online review sites and their tools to manage your online presence. Many review sites allow you to respond to customer reviews on their site, which demonstrates to consumers that you care about the customer experience and you are doing everything you can to ensure their encounter with your brand is as positive as possible. Responding to bad reviews especially shows consumers your brand cares about rectifying bad experiences and righting wrongs. No brand is perfect, and it’s doubtful your brand awareness will be perfect. However, if you take the time to manage your online reputation, you can use it to improve and amplify your brand awareness strategy.” says McCall Robison, Best Company. 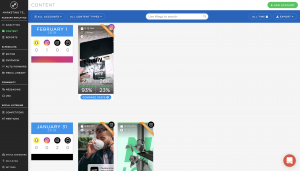 Best Company is an online review site and reputation management tool that provides unbiased data to consumers to help in their buying process as well as supplies businesses with tools to manage their online reputation and improve their brand awareness. For consumers, there are clear and easy-to-read rankings, facts, and breakdowns of each company within hundreds of industries to assist in the buying process. And for businesses, there are tools that allow them to compare their brand to other leaders in the industry, respond directly to consumer reviews, and improve their lead generation. Best Company is perfect for all businesses. Netvibes makes it easy for you to customize and monitor all the things you care about online. You can do a lot with the platform. Like follow your social networks, be alerted of breaking news, or read articles on your preferred topics. By capturing a variety of information across the web and being able to analyze the data, you can now understand the impact of your decisions and focus on opportunities that can drive your business forward. 1. Personal corpus – Listen to the sources you trust and focus on what matters. 2. A dashboard of things – Control your apps and devices by programming the Dashboard to act for you. 3. Faceted exploration – Filter by author, date, location, language, company and more. With more than 200 clients, the platform helps a variety of industries, including some of today’s top agencies, brands, and enterprises. There is a free option, pricing ranges from $0 – $649 a month. Mention offers real-time media monitoring so you can get live updates about your brand. The Mention platform allows you access to monitor over 1 billion sources daily. View everything from social media, forums, blogs, and all of the web. With boolean alerts, you can zoom in on your brand, competitors, and customers to create the perfect marketing campaigns. 1. Real-time media monitoring – Get live updates about your brand on the web. 2. Custom Insights – Focus on the metrics that matter most to you. 3. Mention API – The power and flexibility you need to handle your data. Mention works great for enterprise and agencies. Pricing starts at $29 and goes up. You can request a demo or view their pricing for more options. The platform tracks all over the web and social platforms. Buffer Reply is an all in one team inbox. Making it easy for all teams to communicate and respond to social conversations. Reply lets you see everything you need to know about the person you are talking to, that way your team can provide personalized responses, helping you build great relationships. Reply gives you actionable data and easy-to-read reports on a variety of key metrics allowing you to improve your engagement over social platforms. directly into the Slack channel. 2. Export your reports – Export all your reports in CSV format. 3. Integrate with your dashboards – API to integrate Reply data into your dashboards. Businesses of all sizes can use Reply. You can start a free 14-day trial, pricing is $50-$225 per month. If you’re unsure which plan fits you best, you can sign up for a webinar. Brand24 is a Social Media Monitoring platform which gives you an opportunity to collect, analyze and react to every publication mentioning you/your company on the internet. By tracking these mentions you are able to analyze which digital marketing channels generate the biggest buzz about your business. The tool also helps you in getting into interactions with your customers by talking with them on your social media profiles, responding to crises in real time. With that knowledge, you can target your campaigns more precisely, which leads to increased sales and customer satisfaction. Mentions Feed – list of mentions with complex description. Allows you to see what people say and react in real time. Data Analyse – analyze buzz quality and quantity to get to know your customers better. In Brand24 you can also use various types of filters like geolocalization, author, number of visits, influence score or sentiment. Discussion Volume Chart – an intuitive representation of changes in discussion volume and reach. Try a free 14-day trial, pricing starts at $40 per month. View for more pricing information. 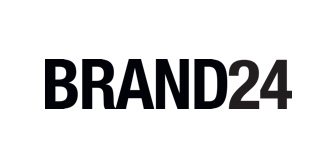 Brand24 is great for Instagram, Twitter, next Facebook, and Quora. Mediatoolkit is a media monitoring and analytic tool. Making it one of the easiest and fastest ways to find out who is mentioning you online. It gathers information from all over the web from millions of sources. The platform notifies you in real time when your name is being talked about. 1. Unlimited users – Unlimited seats per account. 2. Advanced Boolean search – Set up search strings that prevent irrelevant results. 3. Custom alerts & digests – Daily or weekly alerts, it’s all up to you. Mediatoolkit is useful for everyone, regardless of the size or industry. Test out the platform with a 14-day trial, pricing starts at $58 per month. See more pricing information. Mentionlytics is a social media and web monitoring tool that lets you track mentions for your brand from all over the web. 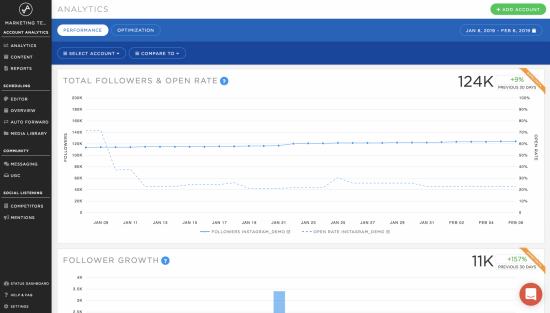 Intelligent insights are a unique feature of Mentionlytics that helps you find lead influencers of your industry, trending topics of your niche market and real-time customer feedback that helps you react and prevent any upcoming crisis. All data can be exported in pdf or excel, or even in their app to keep them on the go, regardless of the pricing plan. 1. Social Intelligence Advisor (SIA) – Unique to Mentionlytics. Gives you actionable, personalized advice to help you improve your web and social presence (find best days to post, hashtags that perform better etc). 2. Boolean mention search – Filter results with as much detail as you want. 3. Sentiment Analysis in every language. The platform tracks all over the web and social platforms. – this one may be also changed to your table, where it says Platforms to be changed to all. Pricing starts at $29 per month and goes up, view more pricing options or sign up for a free trial. Now that you have the right tools, you need to focus on what you’re going to measure. You will likely find a variety of items to measure, or at least both qualitative and quantitative. We’re going to go over a few of the most common metrics to measure. Monitoring discussions about your brand are probably one of the more evident reasons for using a tool to track brand awareness. After all, you likely want to see how many people are talking about. Social listening lets you gain valuable insight and can provide you with a variety of information that can be used in your strategy to build brand awareness. This is also important because it lets you see what people are really saying about you, and on which platforms. All of which can help you make changes as necessary and gain insight as to which platforms you can focus on to bring in leads. One of the more common ways outside of using one of the tools described above is to use Google Alerts, which allows you to track your brand mentions or a preferred keyword across all social media platforms. A good quantitative measure is to determine how often your content is being shared. You’ll have the opportunity to see which blog posts work best for your audience. Therefore you can create more content that follows a similar flow. You can see this by adding a share bar to your posts, but you can also track this type of information with an analytics tool. There are a few tools out there that help you track your social media reach. As you can imagine your social media reach has a huge impact on your overall brand awareness. As your reach determines how many people may see your content. This measurement considers your number of followers. For example, a follower who has 500 followers of their own is able to help expose your brand more than a person with just 50 followers. So if you have a ton of followers who have a high following of their own, you have a much better chance of having a good organic reach. If you are active on your social channels, you will likely also have a good social engagement. Measuring the interaction levels of your followers is easy and helps you see what kind of content they like seeing. Likes, comments, retweets, shares, etc. are all ways to track social engagement. Some of the tools will even help you keep tabs on which post had the most engagement. Site traffic should be obvious. This is a metric that allows you to put a number on the level of interest in your brand. Monitoring this traffic allows you to see if there are changes in your overall brand awareness. If you find that there is a decline in traffic, it may indicate change needs to happen. Or you can see if it correlates with any new campaigns or recent changes you have already made. There are many tools you can use to build your brand awareness. And that works in your favor because measuring brand awareness can be complex, but it’s something that has to be done if you want to learn how to continue growing. If you have the right tools and process in place, however, measuring and building brand awareness can be done pretty easily and can have a powerful effect on your business’ success.